Canada House. Robert Smirke (1781-1867). 1824-27. Trafalgar Square, London WC2/SW1. This Grade II* listed building was originally built to house the Union Club (on Cockspur Street to the the south), and the Royal College of Physicians (on Pall Mall East to the north). The Union Club side was later converted for use as Canada House by Septimus Warwick (1820-1935), an architect who had spent seven years in Canada. 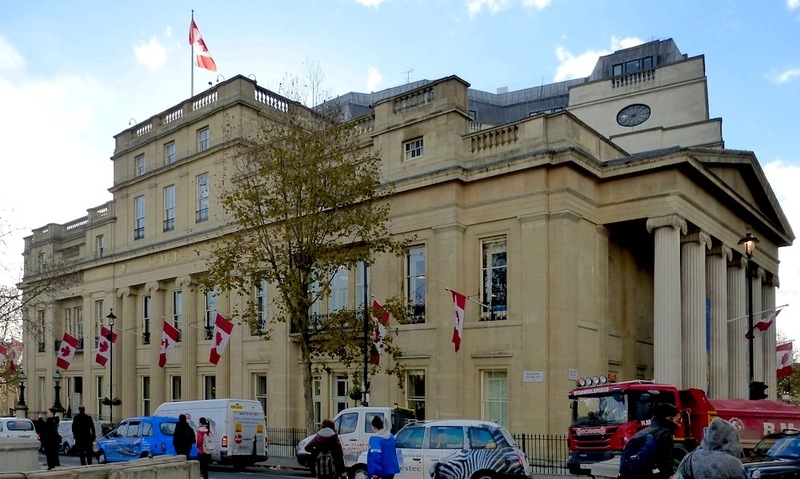 Then, after World War II, the rest of the building was sold to the Canadian High Commission. It is of Bath stone with slate and lead roofs, and occupies the whole west side of Trafalgar Square. As the listing text says, it has porticoed entrances on both south and north elevations, that is, on Cockspur Street and Pall Mall East respectively. 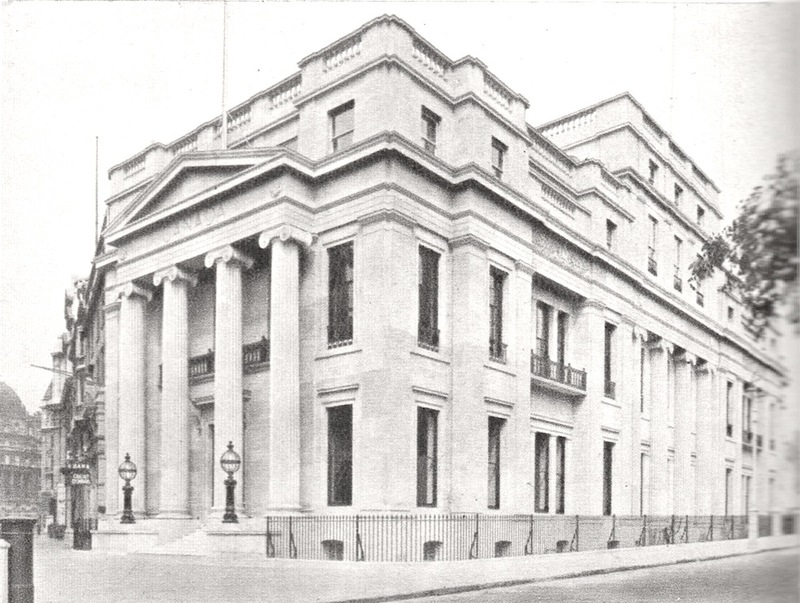 Left: The Cockspur Street entrance to Canada House, where the Union Club was once. Source: Mee, facing p. 129. 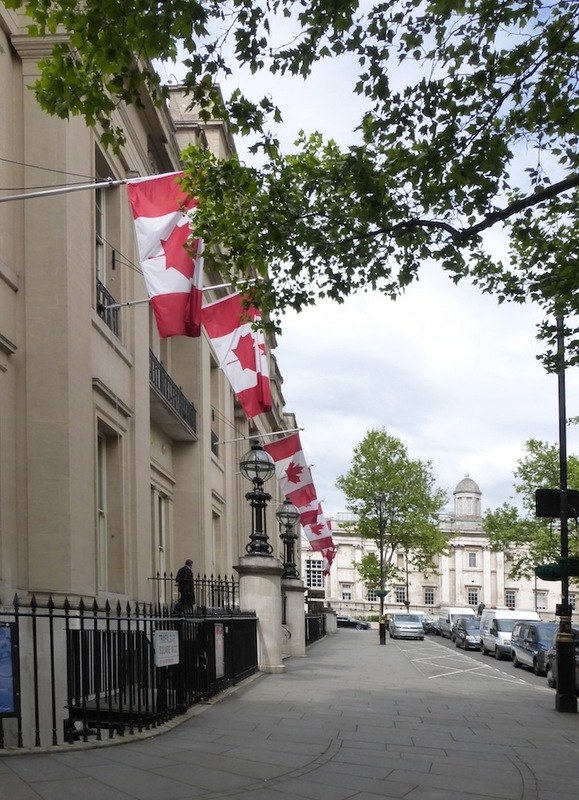 Right: Looking along the front of Canada House from the Cockspur Street side, as it fronts Trafalgar Square. The listing text describes this monumental building as being in "in dignified and scholarly Greek Revival characteristic of Smirke," with two storeys, basement and wings. 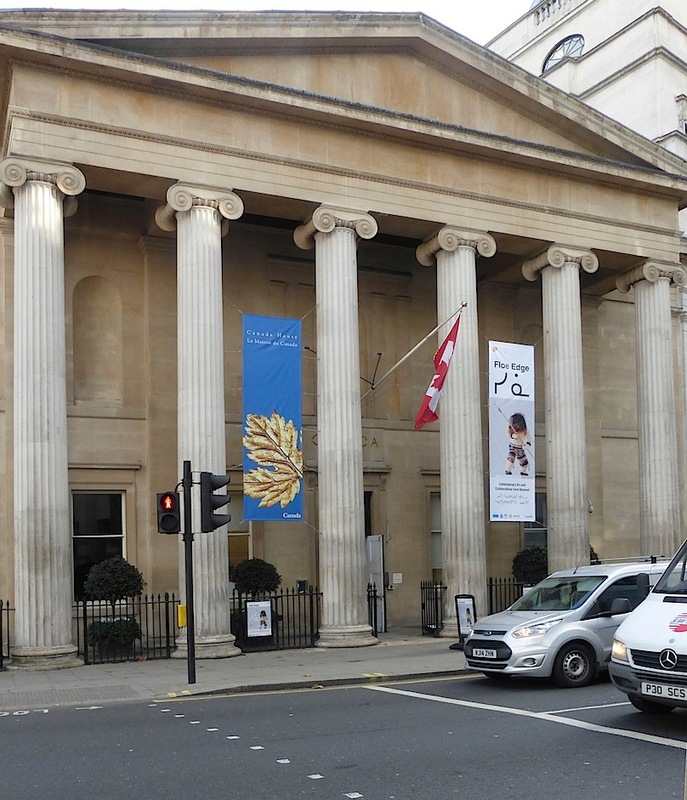 The extra attic spaces over the centre were added for the conversion to Canada House, and the original central entrance on Trafalgar Square is now windowed, "in tetrastyle portico." The Cockspur Street entrance was adopted as the main entrance instead, and rebuilt for that purpose by Warwick. Left: Entrance on Trafalgar Square. Right: The Pall Mall East entrance, formerly for the Royal College of Physicians. Despite its repurposing, this major institutional building still gives Trafalgar Square a fine western aspect. It was what John Nash himself had envisaged, in his Metropolitan Improvements of 1824-26. 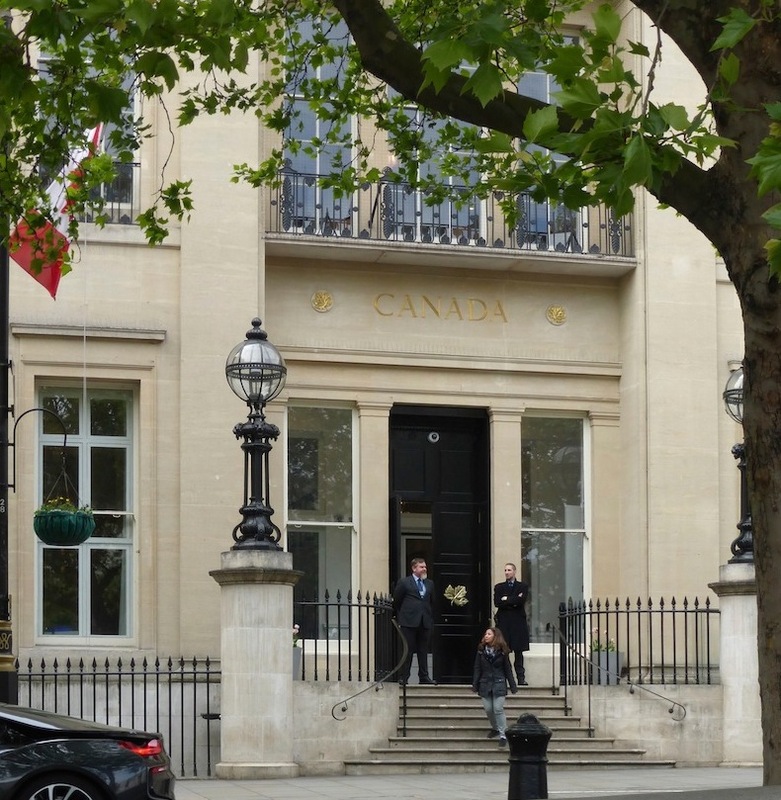 "Canada House (including the Former Royal College of Physicians)." Historic England. Web. 28 May 2017. Mee, Arthur. London: Heart of Empire and Wonder of the World. London: Hodder and Stoughton, 1937. "Warwick, Septimus." Biographical Dictionary of Architects in Canada, 1800-1950. Web. 28 May 2017.